Applications are hereby invited from suitably qualified candidates to study Medicine in Cuba. Passed Matric with minimum medical university entry 8 requirements of Level 4 in physical Science, Mathematics, Life Sciences and English e South African Citizenship and permanent residence in Gauteng – Between the ages 18 and 25 years turning 25 by end of November 2015). Those Candidates already registered at Nursing Colleges and Higher Education Institutions in a third year of study or who have obtained a tertiary qualification will NOT be considered. The course is comprised of the following: – One year of Spanish and foundation COUrSES Five years of medical studies Thereafter two years of medical study at a South African University to complete a degree in Medicine. The Department willfully fund a limited number of SUCCESSful applicants to study medicine in Cuba. The opportunity is also available to applicants whose parents are in a position to pay tuition for medical training in Cuba. Successful applicants will sign a bursary contract with the Department prior to departure to Cuba to serve work for the same number of years as the duration of study in Cuba and South Africa. Two certified copies of the following documents must be included with the application form: Curriculum Vitae (CW) • Birth Certificate (of applicant and all dependants of the parents) Identification Document (applicant and parents guardian) Passport (if available) • National Certificate (statements of results for 2015 matriculants will be accepted) • Proof registration from the University (if currently registered) • Academic record (progress report from the University – Proof of income of both parents or guardians (sworn affidavits for those Without proof of income) • Proof of residence in the form of utility bill or account registered in parents or guardians name). 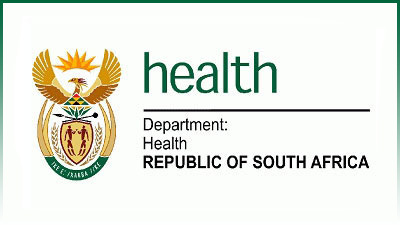 All completed applications must be hand delivered at the Directorate: Professional Development, for attention: Mrs Yvonne Skosana / Ms Mapula Motaung, Gauteng Department of Health, Penmor Towers Building, No 1 Rissik Street, Johannesburg.